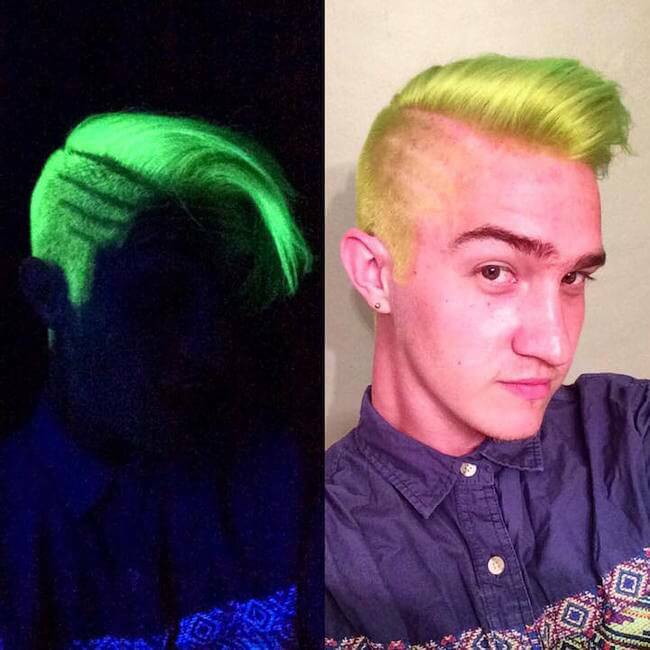 People love to switch up their hairstyles. 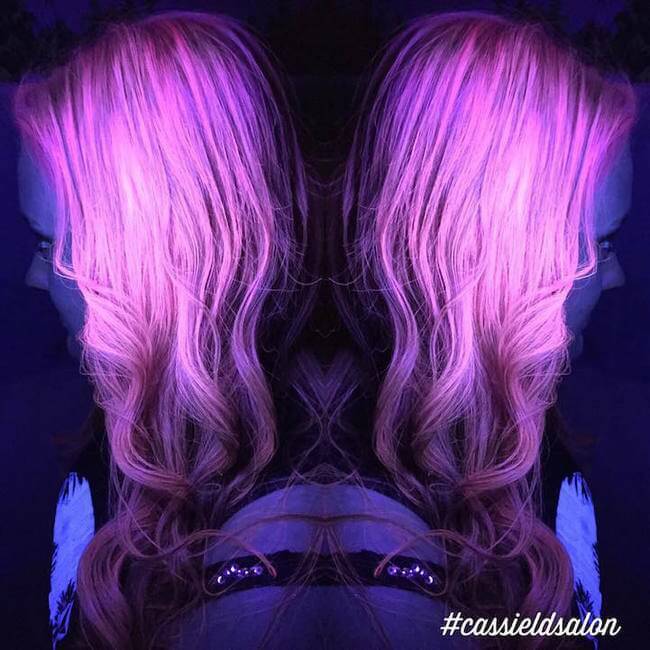 When you need change, your first go-to is your hair. 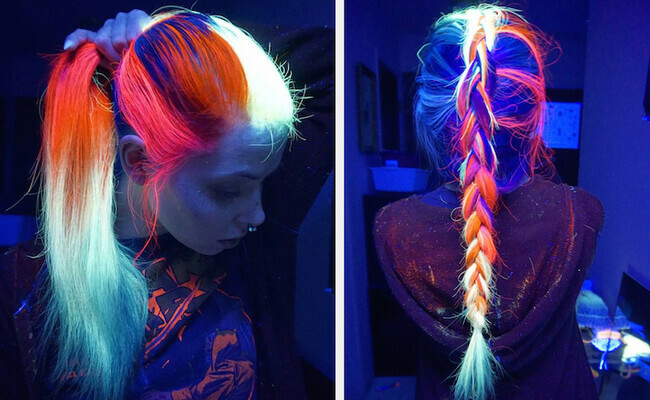 So if that’s you, if you’re looking for a new hairstyle, you’re in luck. 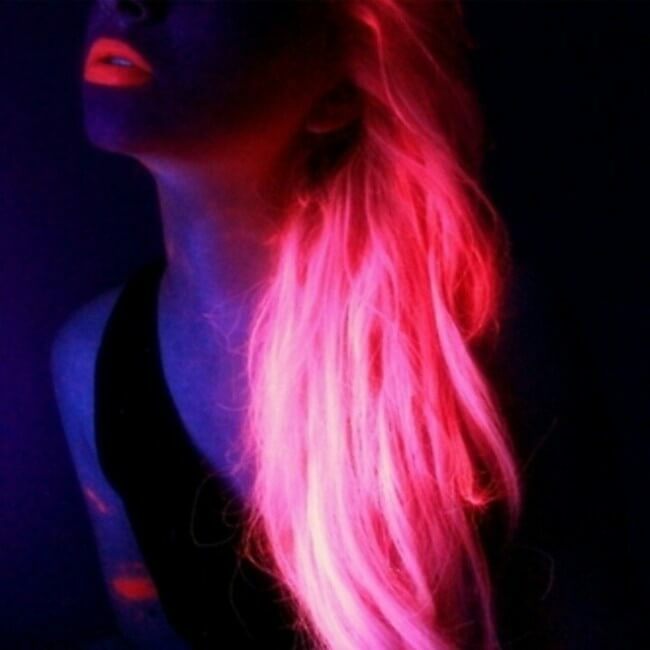 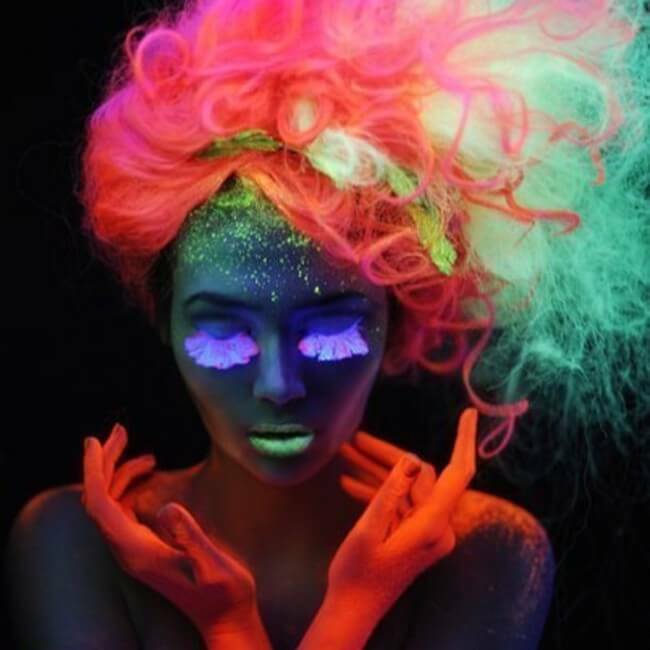 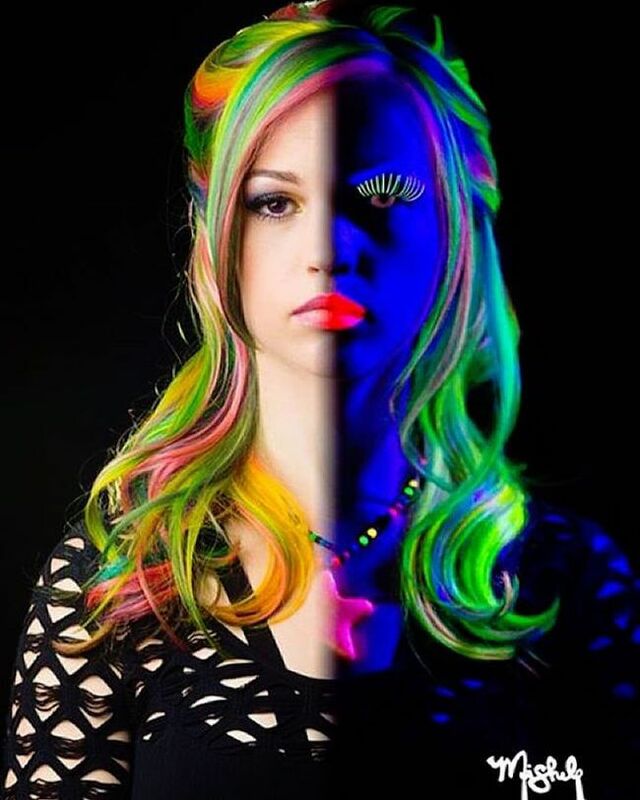 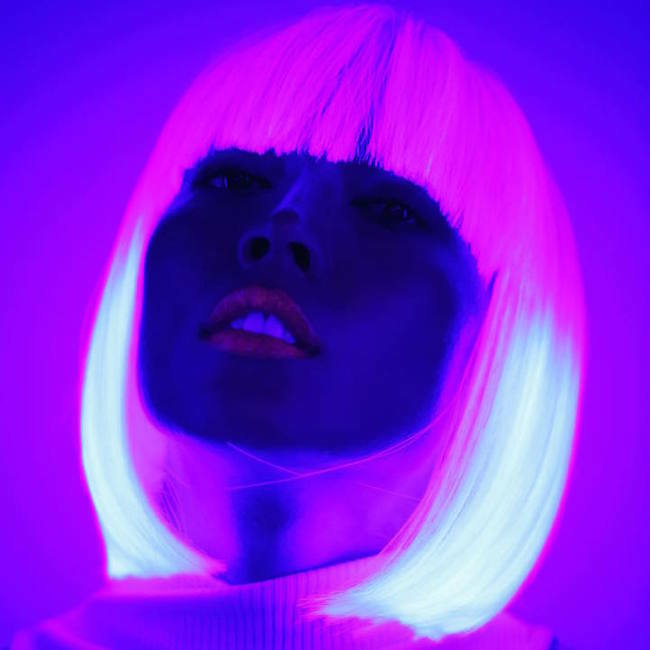 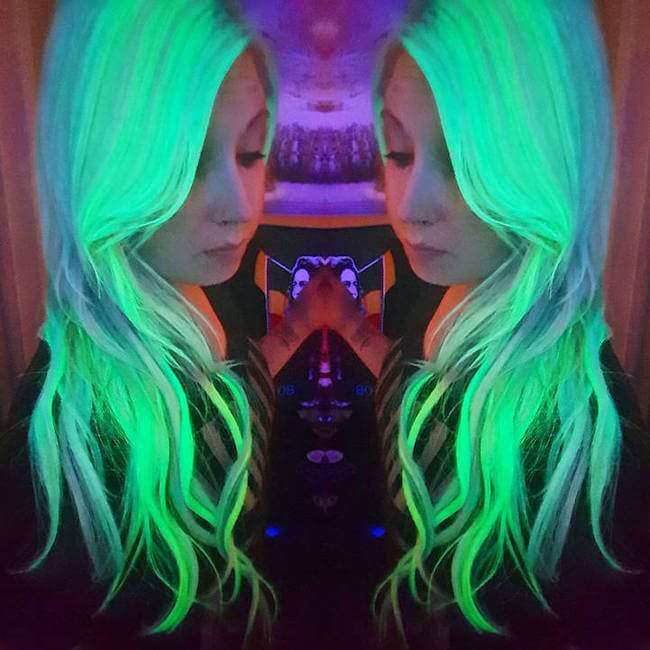 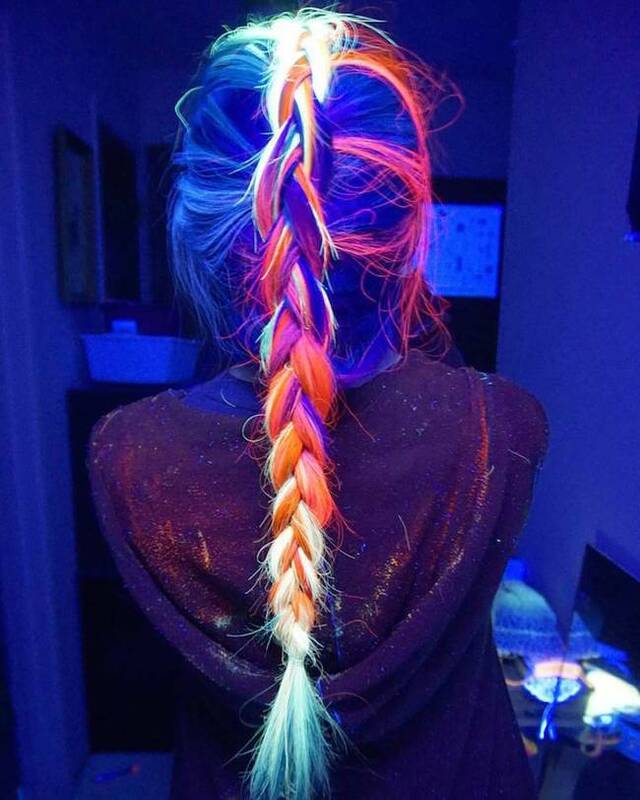 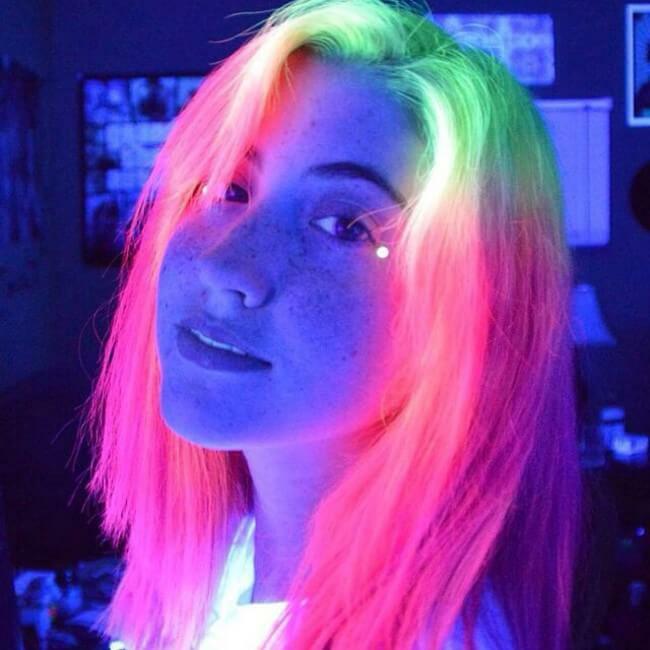 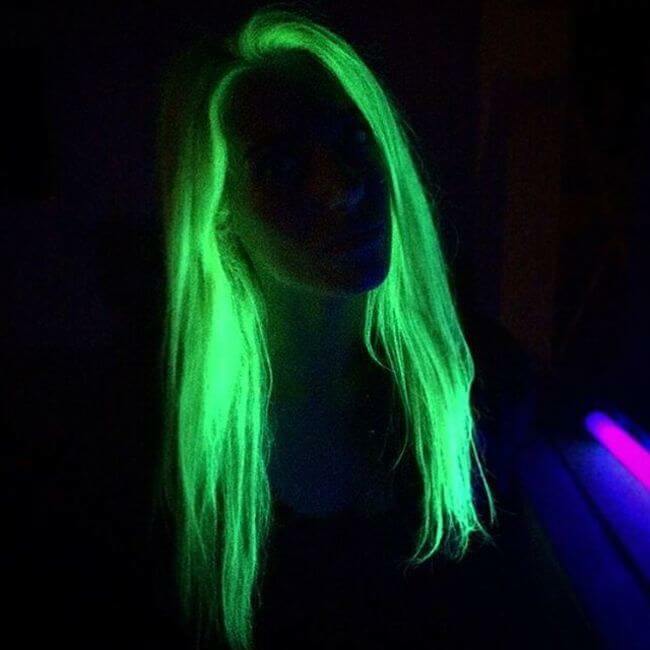 Glow-in-the-dark hair is the newest trend amongst teenagers and young adults. 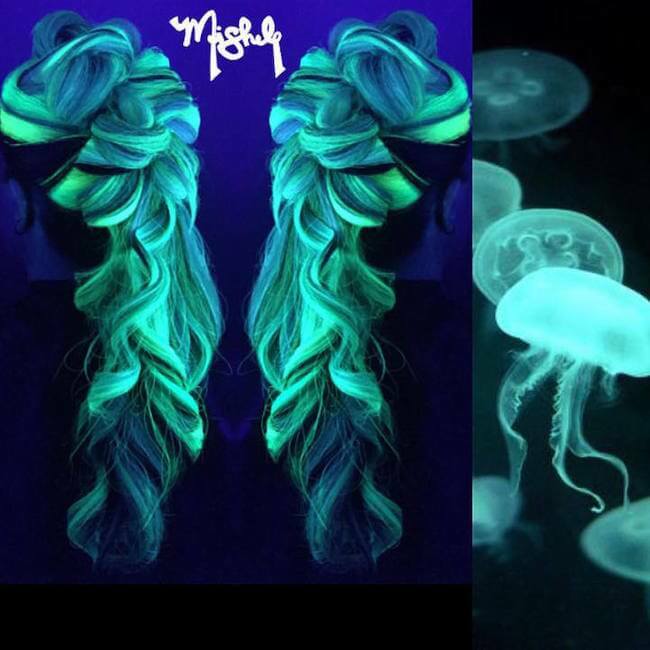 During the day, your hair shows off vibrant colors and during the night, your hair is glowing as if it’s a jellyfish! 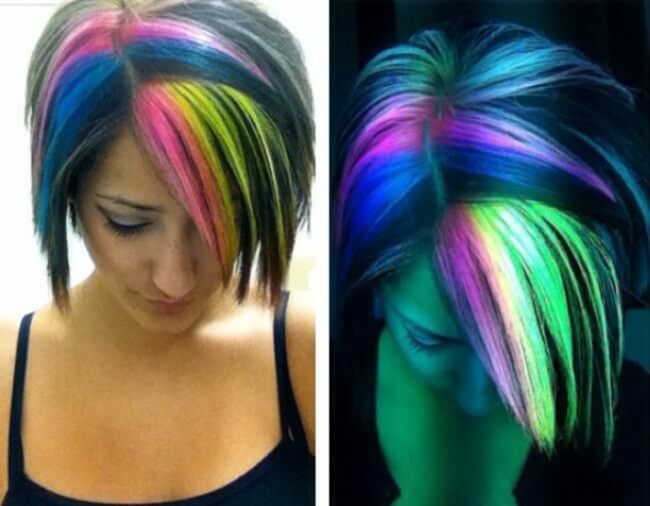 You can do one shade all over, or you can do a mixture of colors to create a unique mixtures of colors. 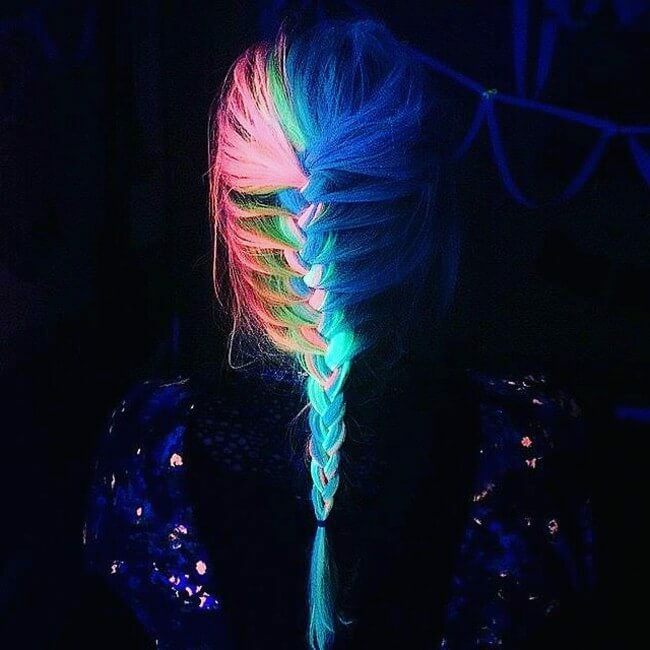 When you throw your hair into a braid or a bun, the look becomes even more interesting! 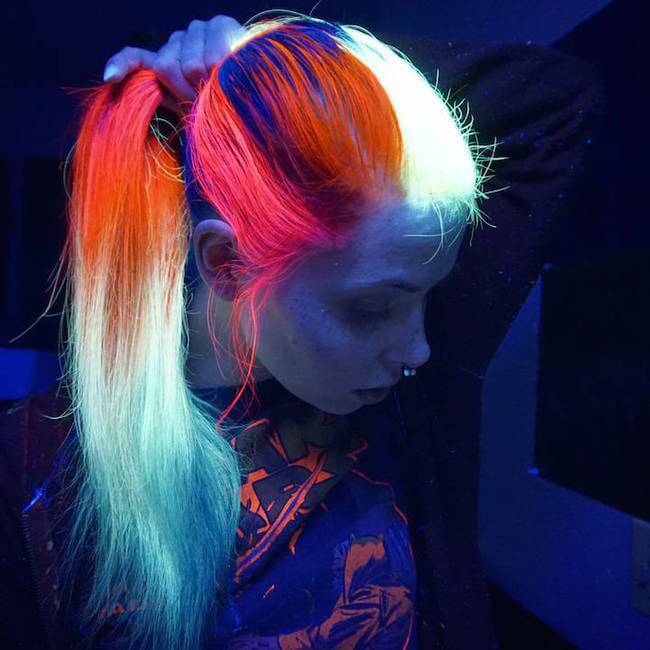 Many wearers decide to don Manic Panic’s High Voltage Classic Cream Formula. 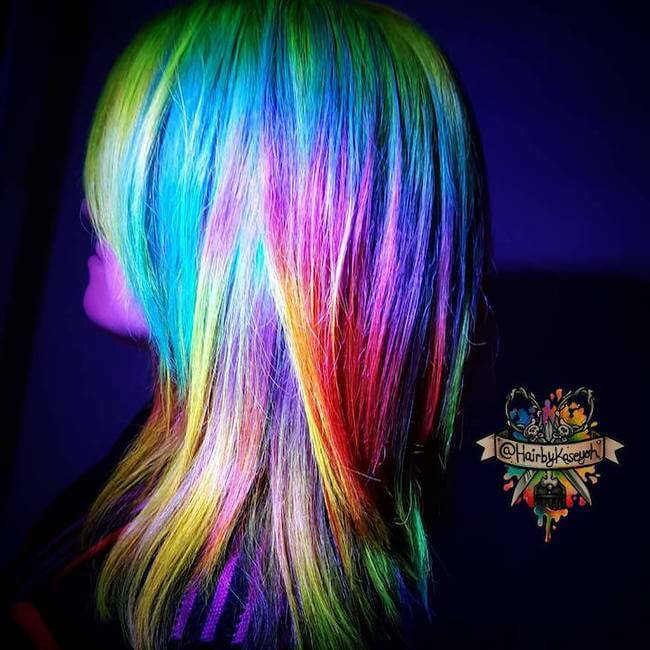 The colors vary from vibrant, extreme shades, to softer, more subtle shades. 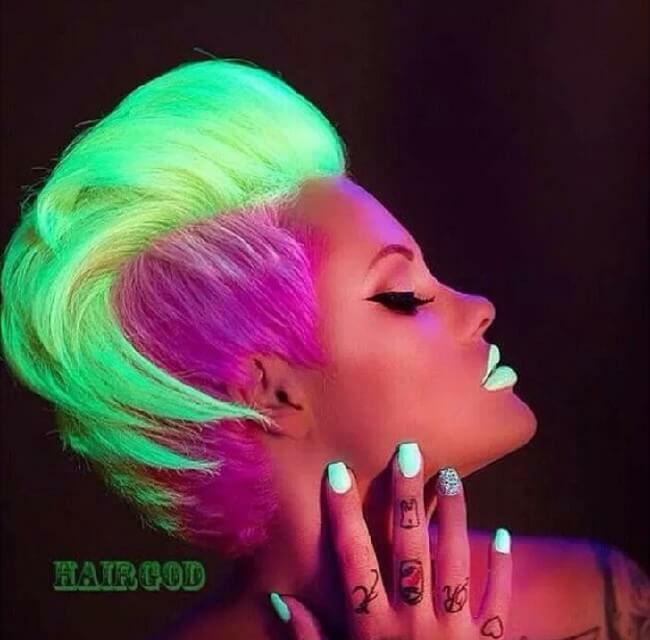 So when you’re considering your next hairstyle, here’s another possibility for you to think about.